Here is the food items I promised to post. We most likely still need, plates, cups, napkins and MORE food! Post here or on the Facebook page or just bring something! Lets finish this year with a bang! Kay put the following information on the Facebook page. I would like to thank her because I forgot to add this info to my notes. “Georgia Celebrates Quilts” which will take place June 11-13, 2015. This is the largest judged and juried show in the state, and we have a chance to enter quilts. Go to this link for categories, rules, and entry formhttp://ecqg.com/quilt-show/quilt-entry/. Also, if we purchase tickets to attend as a group of 10 or more, we get a 20% discount (only $8 per person)! Thanks ECQG for coming to share with us! Please click the link and read about this quilt show. It would be great if our guild is represented. Also, the next guild meeting is on November 20th. Happiness is found in a tote bag. November is our 2nd Annual Ornament Swap and Nosh. The ornament Swap is a handmade swap. Please post in the comments below on the food item you would like to bring. We need, drinks, snacks, appetizers and desserts of course! In December this is no Guild Meeting! Our next meeting will be on November, 21st at 7pm. Sew In: Keep an eye on the Facebook page for the next sew in date. Charity quilts are due by the January meeting. Groups should decide on what charity they are going to donate to. I gave out only three quilt labels yesterday. I will have WATLMQG labels once again at the November meeting. Please contact me if you have any questions. I will compile a list of Nosh items that are expected for the November meet and post it the early part of November. Our quilt labels have been ordered! Hopefully they will make it to the next guild meeting so hold out on the binding! As you all finish your tops please post the pictures on the Facebook page. Don’t forget about the tote swap! I am super excited to see what everyone comes up with! Here are the announcements from this month’s meeting. 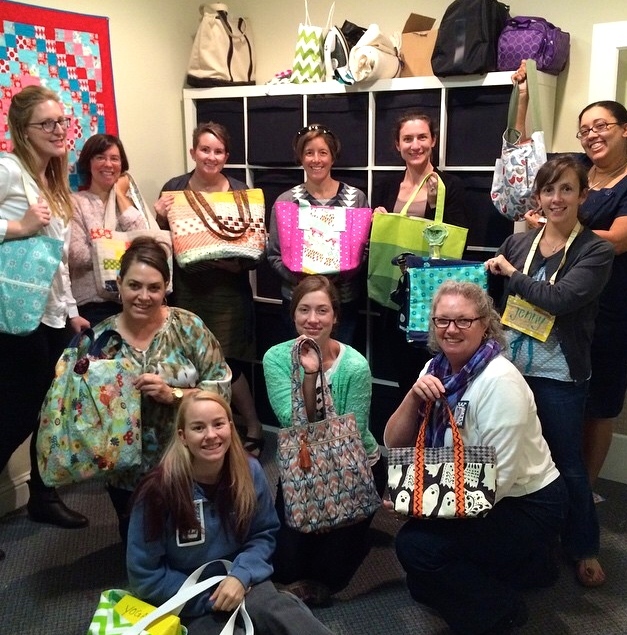 October Swap: At the October 16th meeting we will be swapping Tote bags! You can go big and bad as you want to. The only rule is you create something you would like to receive. Charity Quilts: At the September meeting, we were asked to bring orphan block to create charity quilts. We were broken into groups to create and finish quilts. Your group quilt is due by the January meeting which is, January 15th. September Sew In: Sign up here to RSVP for the September 26th sewing, starting at 7pm. Show & Tell Honorable Mentions: Check out all the pictures from Show and Tell here! This month is full of inspiration. Darcy shared with us a great tutorial she tried out for the Sprocket Pillow by Cluck, Cluck Sew. You can check out her post on the beautiful quilt she created with RJR Solids. Linda showed a lovely quilt where she used the blooming four patch. Here is where you can buy the book with the original pattern. Jessie was so kind to share with us her plus quilt from Quilting Happiness and her experience with hand basting. Here is the tutorial for that! Diana did an interesting 10 for 10 where you can create a hexi without paper. I found this tutorial from “A Patchwork Life” on how to do this technique. Remember the next meeting is on October 16th at 7pm. We meet every month the third Thursday of the month at Fabricate Studios. Thursday’s meeting was lots of fun. Here are the items that was discussed. The Modern Quilt Guild is accepting entries for the Quilt Show at Quilt Con. There are a number of categories. The Modern Quilt Guild Quilt challenge is due on July 24th. Enter your quilt here. Are you going to Quilt Con? If so, let us know! Kim is compiling a lovely schedule so all us Atlanta peeps can easily find each other. 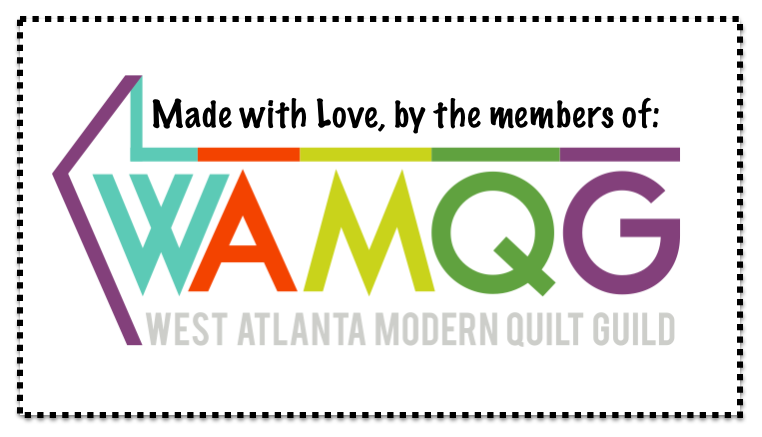 Amy delivered our very own West Atlanta Modern Quilt Guild SWAG! We now have cups! If you missed last months meeting, you can grab your cup later. Friday Sew In: Come sew, drink, chat it up on August 15th starting at 7pm. To sign up, you need to go here. In our next meeting will be on August 21st at 7pm. We meet at Fabricate Studios on the west side of Atlanta. Swap Information! Below you will find the swap schedule for the rest of the year. Pattern Swap: Bring a pattern, get a pattern! Simple as that! The pattern should be complete. Tote Swap: Go as big and bad as you like! The only condition is that is must be something you are willing to receive. Take this opportunity to challenge yourself. 2nd Annual Ornament Swap: Bring a ornament to swap. The only condition is that is must be something you are willing to receive. Tea Towel Swap: The only condition is that is must be something you are willing to receive. I will be posting a Pinterest board for some inspiration. Don’t forget the Modern Quilt Guild Michael Miller Challenge is due on July 25th. You can go here to submit your finished project. Good luck and remember there are three winners! 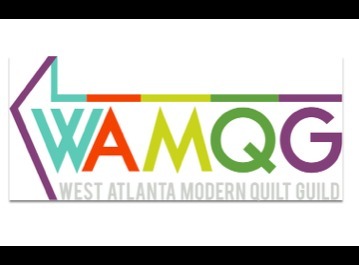 Try to go online and set up your profile then join our group at West Atlanta MQG. Sew In on this Friday night at 7pm. Snacks will be provided but feel free to bring your own drinks. The next meeting will be on July 17th at 7pm. In August we will have a Pattern Swap. Bring a pattern, a leave with one! In August 31 Gifts will be having a pop up shop. If you have any additional events, please send me a email. Have a great month!